City Attorney Jonathan Hobbs to FPPC - OK For Elk Grove Mayor Steve Ly To Accept Junket to Israel? Although he has not filed his mandated statement of economic interest for 2017, a letter posted on a state political watchdog agency has revealed information to be disclosed in the coming days by the mayor of Elk Grove. A letter posted by the California Fair Political Practices Commission last year is in response to an inquiry from Elk Grove city attorney Jonathan Hobbs. The letter was revealed after a reader found it while conducting a citizen's investigation into Elk Grove Mayor Steve Ly activities and forwarded to EGN. Although a copy of the letter sent from Hobbs to the FPPC is not immediately available, the response from a staff attorney answered questions the city attorney had submitted on behalf of Ly who, at the time was considering acceptance of a junket to Israel. Hobb's seeks to answer the question for Ly as to whether or not if acceptance of an overseas trip is legal. In the four-page letter from FPPC staff attorney Emelyn C. Rodriguez (posted below) on behalf of general counsel Jack C. Woodside, tells Hobbs and Ly that since the offer came from a so-called 501 (c)(3) organization, the junket is acceptable if it is "reasonably related to a legislative or governmental and concern international public policy." According to Hobbs' letter, the eight-day trip to Israel was sponsored by the American Israel Education Foundation. The AIEF's stated purpose of the trip is to provide "leaders with an in-depth understanding of modern Israel and U.S.-Israel relationship" and that the issues covered would include education on solar power, cybersecurity, and self-driving vehicles. The AIEF is closely associated with the influential American Israel Public Affairs Committee, more commonly referred to as AIPAC. According to the mission on the website, AIEF "funds educational seminars to Israel for members of Congress and other political influentials. These AIEF-sponsored trips help educate political leaders and influentials about the importance of the U.S. - Israel relationship through firsthand experiences in Israel, briefings by experts on Middle East affairs, and meetings with Israeli political elite." 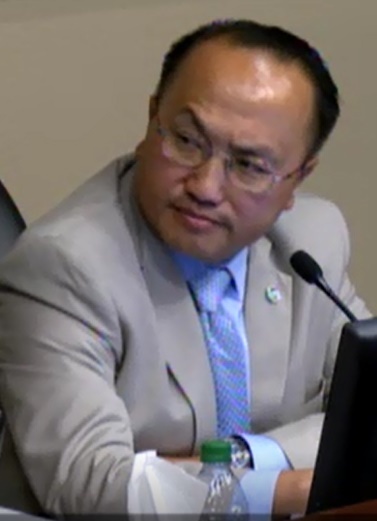 Since the completion of his travels last October, Ly has not provided a report on his findings during sessions of the Elk Grove City Council. The deadline for filing the FPPC's Form 700, Statement of Economic Interest is April 2, 2018. Pretty sure Rabbi...I mean Mayor Ly and his staff entourage were headed for the Wailing Wall to pray for economic development! Problem is, there was no mention of the trip afterwards, and the taxpayers deserve a summary report of the trip. Kind of reminds me of the Nigerian Sister City fiasco that came out of nowhere. Transparency means transparency. Putting aside the FPPC ruling, what do the cities ethics rules say about accepting trips such as this? I believe he should have been prohibited from receiving this complimentary trip since it's not part of his official job duties as Mayor of Elk Grove. That is a proven fact since there was no report given at any City Council Meeting upon his return in October, 2017. Had he wanted to go at his own expense, then I have no problem with that.